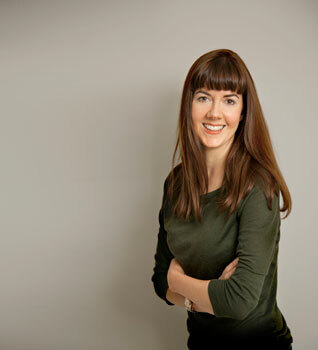 As someone who’s never been on a ‘diet,’ the idea of having forbidden foods was going to be new to Mum – even if she had, voluntarily, avoided things like Coke, crisps and processed foods, for her whole life. But cancer was a different ballgame. Was dairy ok? What about meat? And gluten? At this stage Mum didn’t know what to strike off the menu. But she did know what she should be eating. The first anti-cancer weapon she recalled was beetroot. 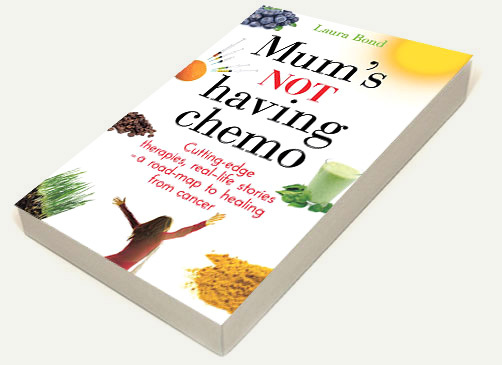 She’d read about its potent healing properties and had heard ‘beetroot therapy’ could cure cancer. In the 1950s, Alexander Ferenczi MD, a Hungarian cancer therapist, began prescribing patients a regime of red beetroot (raw or juiced) which they ate in addition to their normal diet. 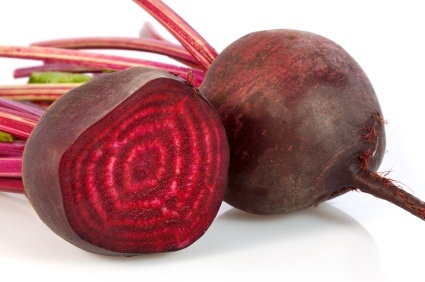 Patients ate up to 1 kg of beetroot a day. Ferenczi worked exclusively with patients who had already undergone chemotherapy and radiation, and who were primarily in the final stage of cancer. According to reports there was clear clinical improvement in each and every one of the patients. Beetroot’s deep red pigment (which leaves the unsuspecting salad maker looking like a mass murderer) is full of cancer-fighting compounds and it’s also known to cleanse the blood, alkalize the body and improve digestion (and regularity). It’s said to be a traditional treatment for Leukaemia and studies show it’s effective against skin and lung cancer as well as breast and prostate cancer. Interestingly, the only villages near Chernobyl that didn’t experience radiation poisoning were the ones drinking Beet Kvass (a fermented beverage made from beets) according to numerous sources. Raw grated beetroot quickly became the crowning glory of Mum’s daily salad and she drank a beetroot juice, mid morning, almost every day after the diagnosis. When Mum didn’t have time to make her own juice, she drank a bottle of Biotta – an organic juice range. One of Biotta’s bestsellers is their ‘Breuss Juice’, which comprises of 55% red beetroot, 20% carrots, 20% celery root, 3% raw potato and about 2% radishes. It’s named after Rudolph Breuss, a herbal naturopath who cured thousands of cancer suffers – more than 45,000 if you believe the testimonials – with this potent concoction. Breuss found that cancer was, in effect, ‘starved’ when patients drank only this juice ( and herbal teas) for 42 days. He reported a 96% success rate for those he treated over 30 years of practice. ‘Rudolph Breuss said ‘cancer is unable to survive without protein.’ And research shows that particular foods contribute to accelerated blood vessel growth around a tumour. Starving the body of these foods kills the blood vessels and subsequently starves the tumour,’explains Marc Featherstone, Director of Give Me Life a New Zealand company which offers online support for a variety of natural cancer treatments. According to Marc, strict adherence to the diet is vital. Mum didn’t take up the 42 day challenge – there were other treatments she wanted to try first – but the testimonials are impressive and inspiring. While many of Marc’s clients ( he’s had a lot from the UK recently) use the Biotta range, he encourages them to buy a juicer. Marc recommends the Angel Juicer, but you can go to Juicers Australia to compare models and prices. Mum bought the LexSun juicer and is really happy with it – as is everyone in the household. Last week Mum made a juice for the gardener (IT support /kefir supplier/friend) who called her mid appointment, exclaiming: ‘Gemma, I just have to tell you, this juice tastes AMAZING.’ It seems you can’t Beet the real thing. This is a fascinating, and highly useful read! Have forwarded it to everyone I know. Thanks for such well researched and insightful commentary. Sending you and your Mum lots of love. Thanks for this information on the beetroot. The flavour of the month in my house is a healthy salad of Beetroot, celery, cucumber, carrots, apple, red onion & radish (mixed with a litlle olive oil and lemon juice). A great enzyme cocktail….made in the “Thermomix” in seconds. And the beetroots…….. courtesy of my neighbour and her wonderful vegie patch! I just bought a LexSun juicer and am about to give it a go. It is best to use organic beetroot and other vegies. Do you know of any reliable places that sell these products? where do you get biotta juices in perth – the only places i can see is on websites. Hi Chris, most health food stores should stock Biotta. You could call Manna Wholefoods or Precious Organics?